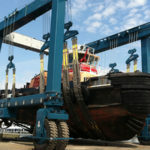 Travel lifts tons deal with duties, like light duty travel lift heavy duty travel lift! Great choice for increasing efficiency and saving cost! 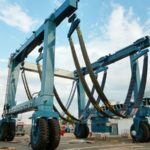 Travel lifts with different lifting tons are suitable for different lifting work. 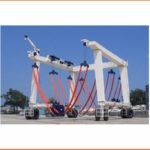 Large travel lift crane can deal with heavy work very good. Small travel lift is mainly applied for light duty. 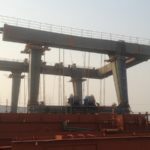 The former type marine hoist refers to travel lift with more than 100 ton lifting capacity, such as 300 ton marine travel lift, 500 ton mobile boat lift gantry crane, travel lift 800 ton. 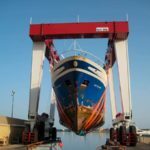 The latter type travel lift refers to the crane with less than 100 ton loading capacity, such as 15 ton travel lift for sale, 35 ton boat travel lift, 60 ton boat hoist, 75 ton travel lift. 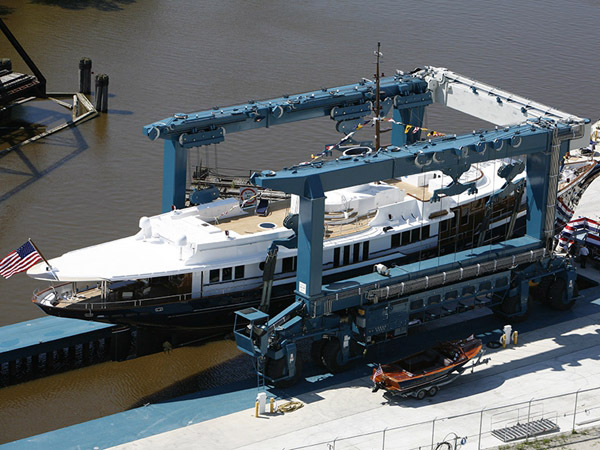 Ellsen provides those marine boat hoists and construction travel lifts with reliable quality. 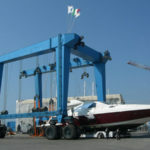 Ellsen designs and produces travel lifts according to national standards and requirements. 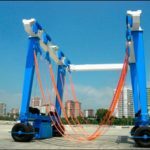 To purchase suitable travel lift, just send specifications to Ellsen, Ellsen provides customized service for the most satisfied crane hoist!